As anyone who’s smoked or is smoking now can tell you, tobacco is one of the hardest habits to break. So why look to nicotine itself for help? According to an article from the Mayo Clinic News Network, nicotine replacement products are both safe and effective for people who are trying to qui t.
And if they are complemented by other stop-smoking techniques, they can help nicotine addicts reach their goal. Article author Dr. Jon Ebbert, of the Nicotine Dependence Center, Mayo Clinic, Rochester, Minnesota, says that nicotine is highly addictive and it is what keeps you smoking. However, he adds, it is tobacco, not nicotine, that makes smokers vulnerable to lung cancer, emphysema and bronchitis. What nicotine replacement products do is give you nicotine but no tobacco. That helps relieve the withdrawal symptoms and cravings. (They also have less nicotine than cigarettes.) For many, Ebbert says, going from tobacco to nicotine replacement is a critical and important step to living tobacco free. But, the article says, trying to quit without nicotine replacement products reduces the likelihood that you’ll succeed. Replacement products, including gum, patches and lozenges can be bought over the counter. But inhalers and nasal sprays require a prescription. The Mayo article also suggests that you see a doctor or counselor trained as a tobacco treatment specialist. Additional medicines such as bupropion can help, while varenicline can lessen the pleasure you get from smoking. And behavioral changes can be valuable aids. The Mayo article suggests that you change your habits by avoiding places where you used to smoke, and going instead to places where smoking is forbidden. If you’re used to having a cigarette with coffee or alcohol, change the beverage you drink. 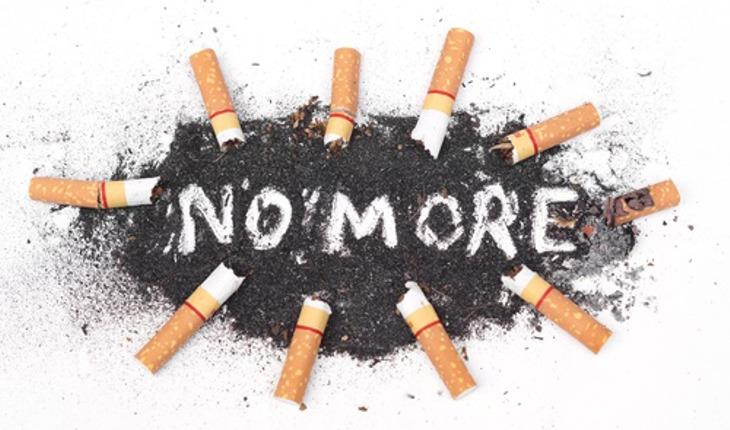 Overall, the article says, while replacement products can be integral to your quit efforts, you should also work on behavioral changes to give yourself the best chance of living tobacco-free.